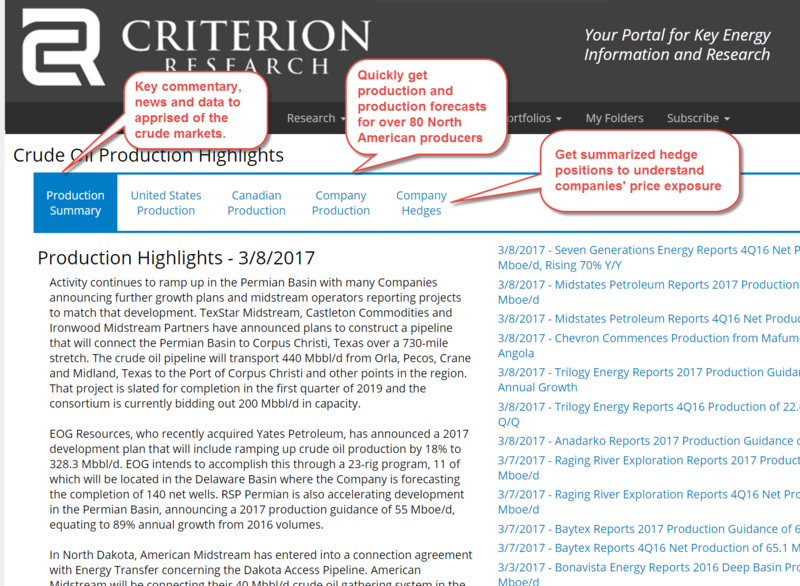 Criterion's uses its proprietary curated news feed to drive our production forecasts. Use our information and knowledge to stay on top of the developments with Crude Oil production. Our database covers everything from a macro to a micro level.